How will you see the love of God this Easter? The following anecdotal stories came to my attention many years ago. They remind me of the immense need in the world for people to know that they are loved. The New Testament scriptures state 'But God demonstrates His own love toward us, in that while we were yet sinners, Christ died for us,' Romans 5:8. Mister, please sir, are you Jesus? A disabled boy on crutches was walking with a few packages under his arm. It was with great difficulty he painstakingly made his way to the railway station. All the people around him were rushing up to the station and one of them knocked him down. His packages scattered on to the road. The man who knocked him down was angry with the boy for walking clumsily. Another gentleman who had been walking behind him, picked up the boy and the packages, put his crutches in place and even slipped a little money in to his hand. With a kind smile he went on his way. The boy who had not known such kindness, called out to the gentleman inquiring, "Mister, please sir, are you Jesus?" "No," replied the Good Samaritan, "but I am one of His followers." Back in World War 2 things were tough in England and many were poor and did not have enough to eat. One day an American GI was driving his jeep through the streets of London when he spotted a little boy gazing longingly through a Baker’s Shop window. The Baker was making bread and doughnuts and many other things. The boy gazed and gazed longing to have something to eat. The GI could not resist stopping. He pulled over and stood beside the boy. “Would you like a doughnut he said?” “Oh yes I would said the boy”. The GI went in bought a dozen and gave the bag to the boy. He then walked back to his jeep. Suddenly the boy came running. He turned the. The boy looked up and said “are you God, Mister”. The boy had nothing! This man had showed him love and kindness and somewhere the boy had learned that “God is love”. While these stories are touching and heart warming there is a serious lesson. People cannot see Jesus today but they do see the people who claim to be his disciples. Christians should show the love of God as well as preach about it. The love of God is most keenly seen in the death of Jesus. That's where he paid the cost price to provide forgiveness, hope, salvation and peace with God. The verse I have quoted to you is as true today as it was when it was written: 'But God demonstrates His own love toward us, in that while we were yet sinners, Christ died for us,' Romans 5:8. The love of God is most vividly displayed – in Jesus Christ! Does It Matter Who Jesus Is? Psalm 143 - Getting what you don't deserve! 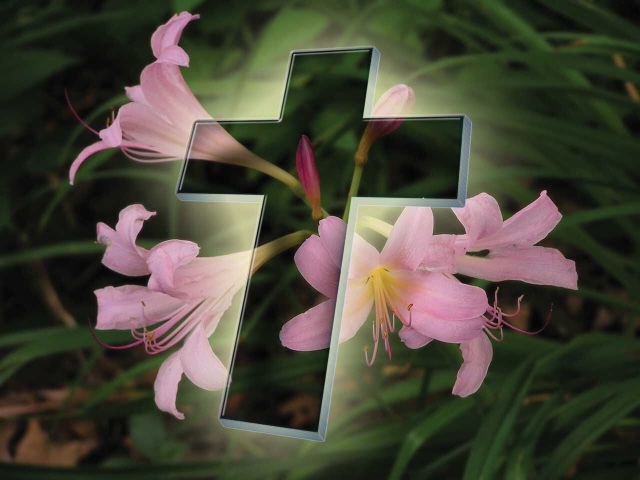 Jesus Christ - Risen from the dead! Psalm 102 - A Psalm of Agony and Ecstasy.